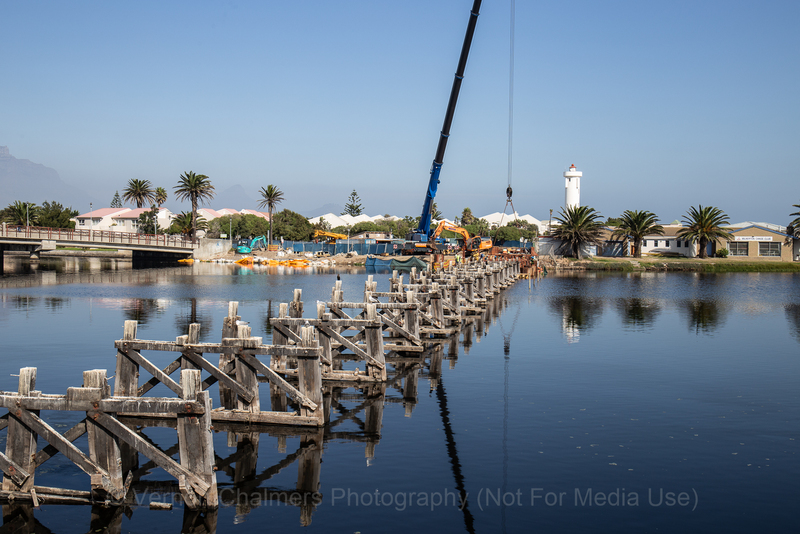 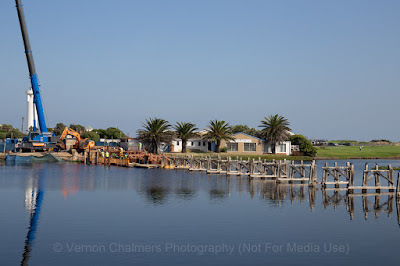 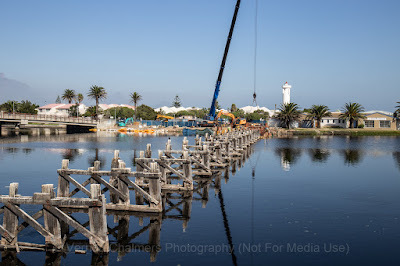 With many people visiting this website in search for information about the Woodbridge Island 'Wooden Bridge Restoration Project' I took a mid-morning walk for a quick visual update. 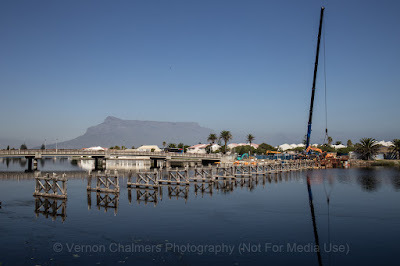 Nine images captured on 11 April 2019. 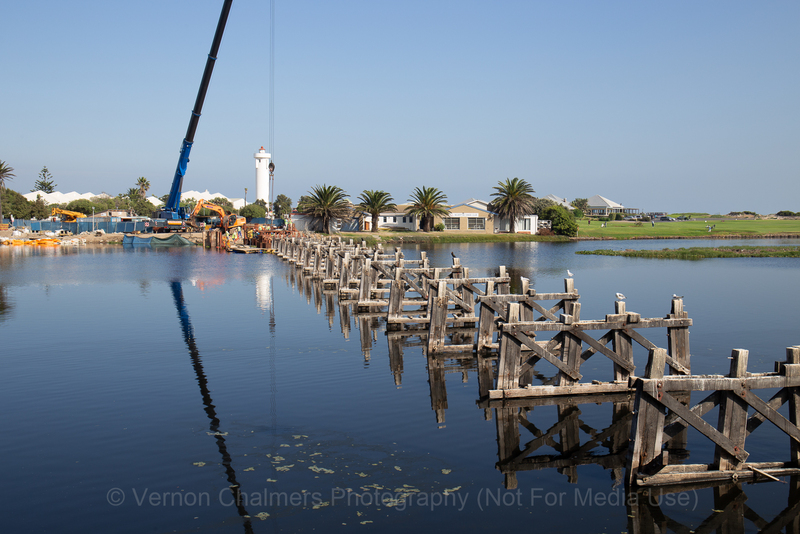 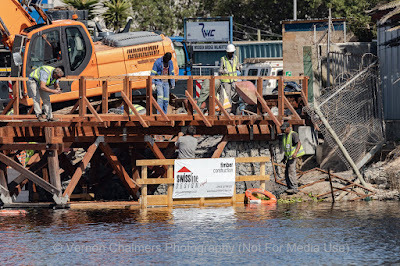 I've been tracking the Wooden Bridge Restoration Project since 2015 - more here and now in 2019 its all happening, but probable due to the heritage nature, at a nails pace. 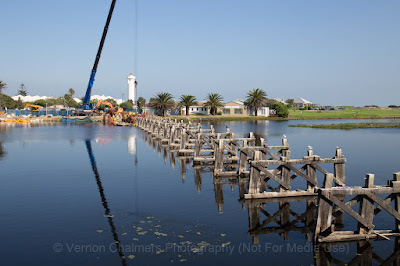 Looking at the current status I very much doubt the stated project completion date. 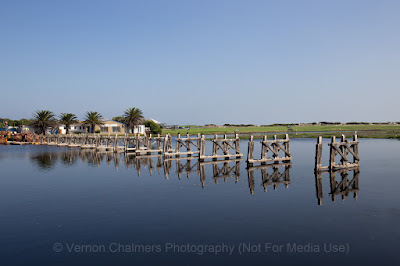 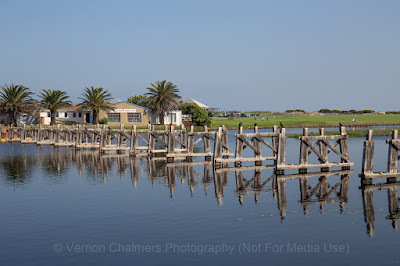 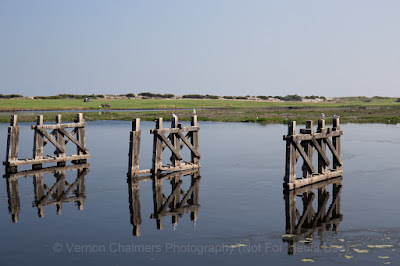 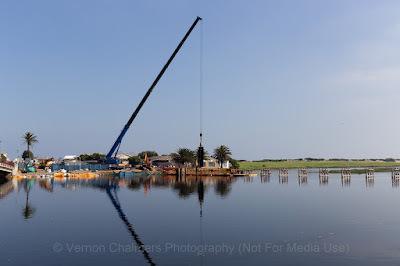 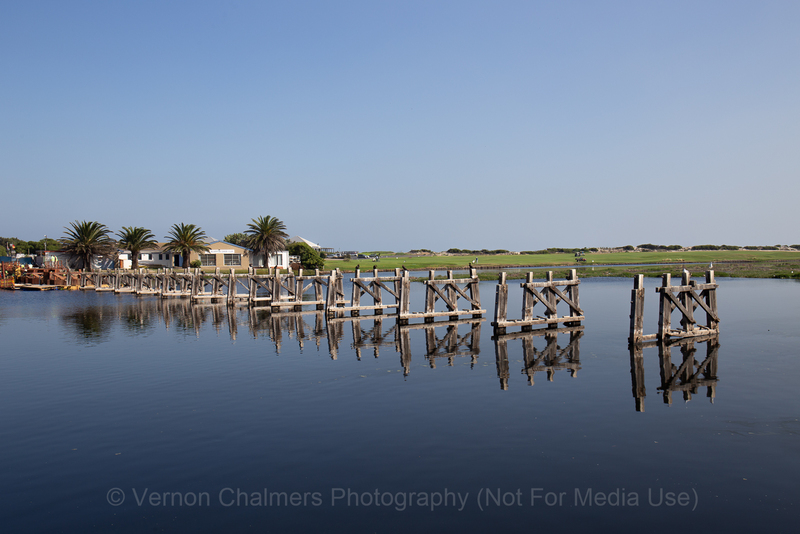 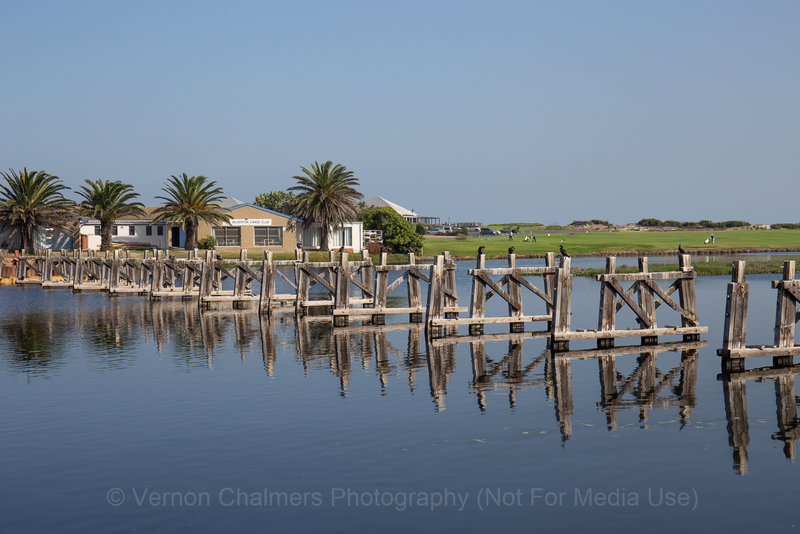 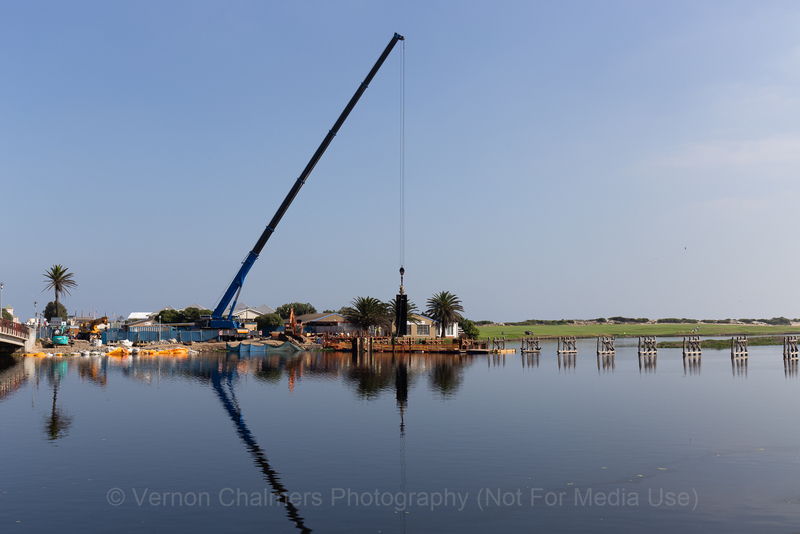 Last week I chatted to the President of the Milnerton Golf Course, Dace Riley, and he said that according his sources it is probably more towards May 2020.